First we made our own pumpkin puree. Then, we used the seeds from that pumpkin to make a crunchy snack. Now, we'll make a warm, comforting, and creamy soup. It looks like the weather this weekend will be on a bit of a downward trend, making it the perfect time to enjoy a bowl of soup. 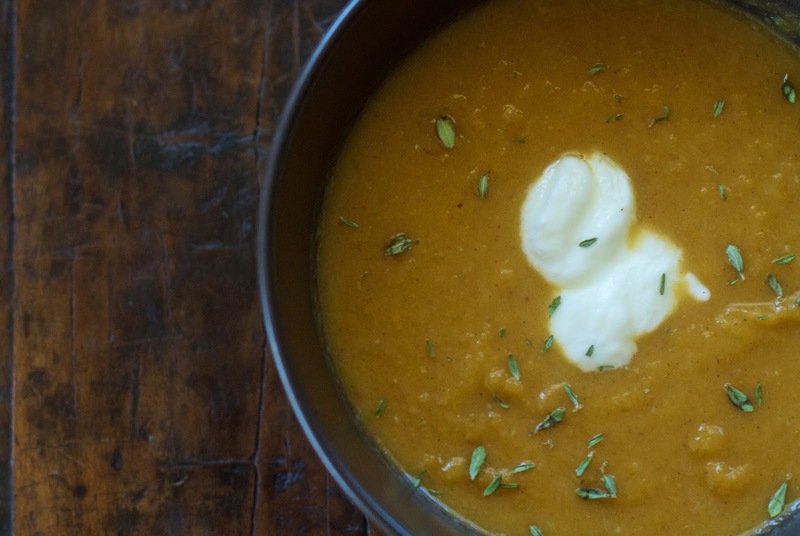 This recipe features our homemade puree along with all the classic pumpkin spices including ginger, cinnamon, clove, and nutmeg. And, because it's me, I add a touch of paprika for some spicy heat. This is a great base recipe from which to adapt to your own tastes. Know the technique, and easily adjust the spices according to your palate. Add more cinnamon. Take out the cloves. You get the idea. Oh, and I'm not much of a dunker, but in this case, I make an exception. Dunk away. 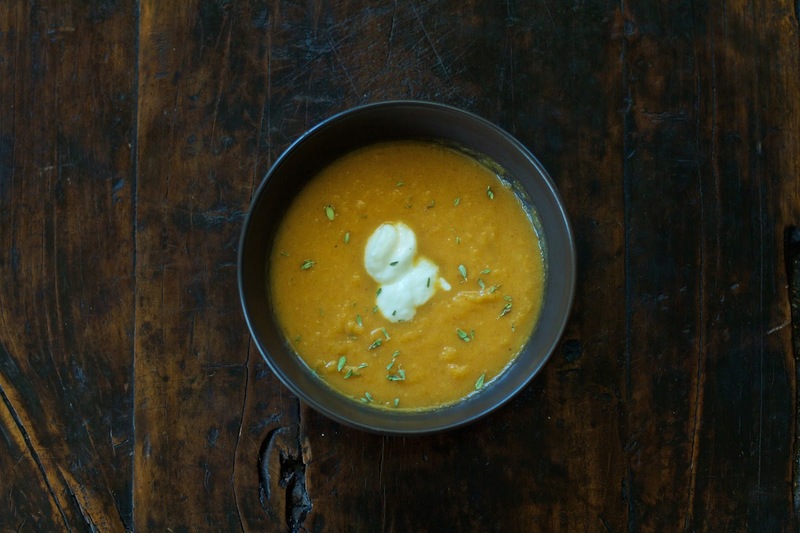 This soup goes perfectly with a grilled cheese sandwich. In a large pot over medium-high heat, heat the olive oil. Add the sliced leeks. Sauté until soft. Add minced garlic. Sauté until lightly golden and fragrant. Add the fresh ginger, ground nutmeg, cinnamon, clove and paprika. Stir around the pan until fragrant. Pour in the chicken broth and pumpkin puree. Remove from heat. Stir in maple syrup and coconut milk. Using an immersion blender, puree soup to desired consistency. You can also use a blender. Be careful when blending hot liquids. Before serving, sprinkle each portion with a pinch of dried thyme leaves and, if you like, a dollop of plain Greek yogurt.